We already know we are strange and now we've an award to prove it! 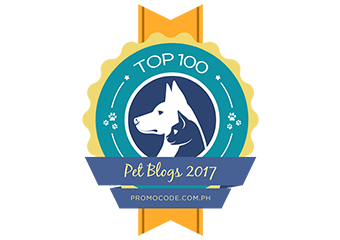 Thanks to Roo and Hound Girl, for this awesome award! 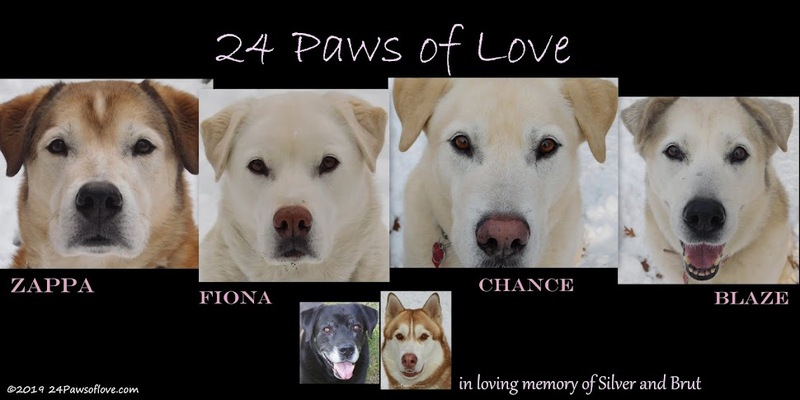 How fitting to receive it from two of the strangest dog bloggers out there! Strange always knows it's own. 3. 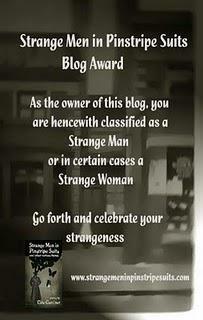 Nominate seven other blogs telling us why you think the recipient is strange enough to deserve the award. 4. Leave a message for those nominated on their blogs. Considered yourselves warned. Thanks for the story about how you became two packs, too! Congrats on your Strange Award! We hope you have a wonderful Holiday Weekend. Thank you to everyone for the congradulations. Houndstooth-Your welcome and thank you for asking. Thank you so much for the award. We have seen it around and it is quite unique. We will be happy to accept it and will try to post about it soon. What a cool award and we are honored to be called strange! We do celebrate our strangeness. Thank you (and congratulations yourselves). Strange? We'll take that as a compliment! Thanks for the award! Congrats on the award. To be strange is to be cool! we salute you! Thanks for joining the blog Hop. Congratulations on your award! Hope you have a fantastic weekend. Now I gotta go bask in my strangeness... he he he he he! Thanks for the strange award! The FiveSibes are having a good howl about it! Silly Sibes do do a few strange (but loving) things sometimes! We accept and appreciate the award! Have a great Saturday!